This one of Mercury is also awesome my friend Henry!!! Magnifique!! quelle belle pose!!!! un passionné dans l'art de chanter!! quelle voix!! j'aime!!! I Want To Break Free it's great! Wonderful picture! He was an exceptional talent! In our planetarium there is just a show with Queen. Stars and music. I've seen it. It was amazing! Awesome Artwork. 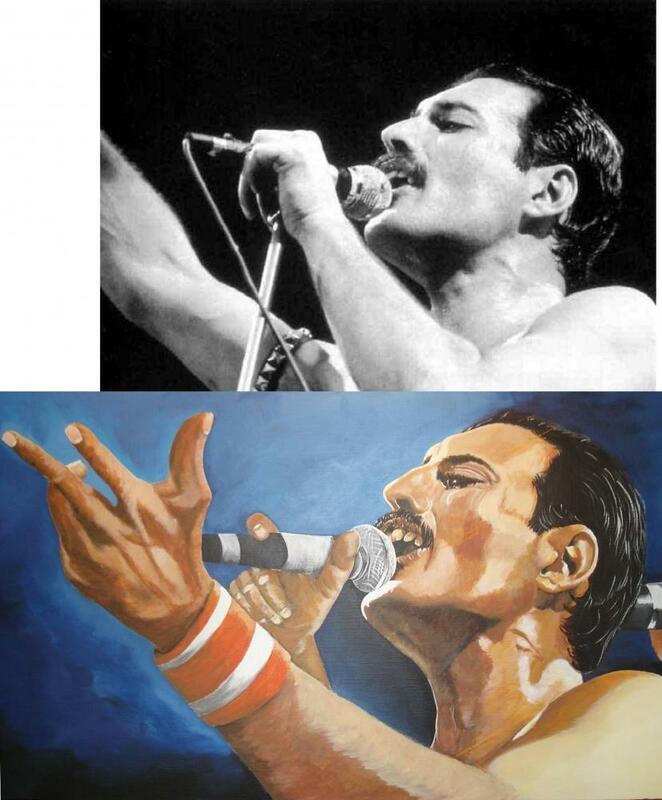 A rightful tribute to Freddie Mercury. Hope to see more of you amazing works.